In Race 2 Melandri is set for his 130th race start, his 30th with Ducati. In Race 1 he endured a setback as he recorded his worst result in his last six races. His three-races championship lead - a career longest - is now reduced to two points going into Race 2. It was the first win of the season in Race 1 for Jonathan Rea, adding another record to the books: this is his 10th season with at least one win. He is the second rider to have this record, behind the 11 winning seasons of Noriyuki Haga. 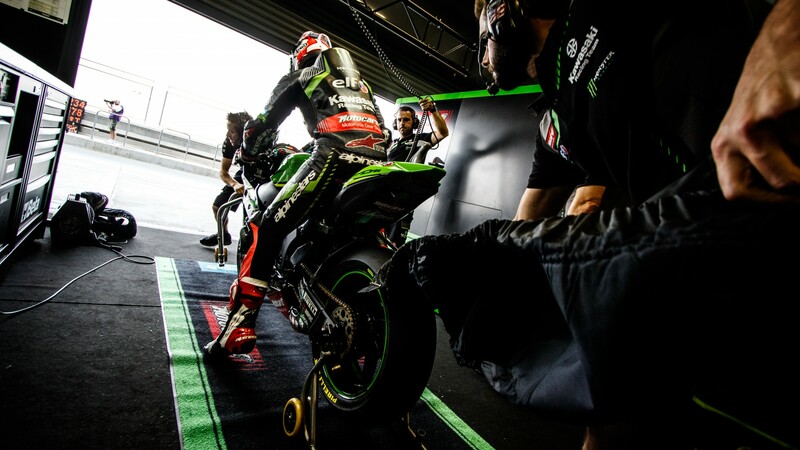 Rea has recorded one win in each season he has started in WorldSBK, missing out only in 2008 when he entered only the Portimao weekend as a rookie. For the 11th time in his career, Rea was able to record a win from pole, setting also the fastest race lap. Last year he managed to achieve this feat five times. His 55th win puts him four short of the all-time record held by Carl Fogarty. This was his 40th win in 81 races for Kawasaki. This was the 110th win for Kawasaki in WorldSBK, closing in on Honda (119) at the second all-time spot. Ducati lead with 339 wins. After Race 1, Kawasaki counts exactly 270 races on the podium (Ducati leads at 565, followed by Honda at 336). 6th win in Buriram: this is the second circuit in which he achieves this record after Assen, where he won no less than 11 times. As a reminder, Rea’s worst result here is a second place (Race 2, 2016). In qualifying he took pole with a 0.003 seconds advantage over Tom Sykes, the fourth smallest margin for a pole after: Kyalami 2009, 0.001 (Spies/Fabrizio); Algarve 2013, 0.001 (Sykes/Laverty); Sugo 1997, 0.002 (Yanagawa/Yoshikawa). His 15th pole put him level with Colin Edwards at the 7th all-time spot. Has recorded three poles at only two circuits in his career: Magny Cours and Buriram. Second podium of the season for Xavi Fores in Race 1: the Spaniard has climbed on the rostrum more times in the last three races (2), than in his previous 66 appearances (only podium: Lausitzring 2016). For the first time in his career, he sits third in the Championship standings. The next podium placement for a Ducati rider will be the 870th in WorldSBK history (565 races on the podium). In qualifying Tom Sykes recorded his 70th front row appearance. The all-time standings now have Corser leading at 99, Sykes at 70, and Carl Fogarty at 60. The Buriram “curse” struck Sykes once again as for the third consecutive year he was second on the grid here, this time by only 0.003 seconds...and this is the only track of the current calendar where he has raced but not taken pole yet. Sykes slipped back in the race, finishing sixth, his worst result under the flag in Buriram. He has also fallen to fourth in the championship standings for the first time since the second race in Phillip Island last year. In Race 2 Sykes is looking for his first podium in a second race since the second place he scored in Laguna Seca last year. All his four podiums since then have come in the first races. Chaz Davies is approaching round numbers, as in Race 2 he will have his first shot at his 70th podium finish, his 60th for Ducati. In Race 1 he was able to secure his 69th appearance on the rostrum, the seventh in his last eight races (he missed out only in Phillip Island, Race 2). An outstanding performance for Leon Camier so far in Buriram: in qualifying he was able to record the first front row for Honda since Nicky Hayden was second in Losail, 2016, and in the race he recorded the first top-4 for the Japanese manufacturer since Hayden was fourth in both Jerez 2016 races. Camier enjoys a top-5 championship placement for the first time since 2011 (Brno Race 1). On Sunday he will start from pole for the first time since the second race in Magny Cours last year. Curiously, both Yamaha riders finished the first Buriram races in the places where they finished last time out, in Phillip Island Race 2: Lowes 5th, Van der Mark 7th. Follow all the action in Race Two at the MOTUL Thai Round from 16.00LT (+7 GMT), all live on the WorldSBK VideoPass.